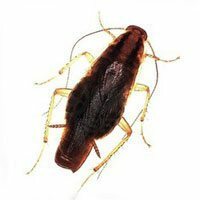 Adult males range in length from about 7/8 – 1 1/8 inch, adult females are about 1/2 – 3/4 inch. Males are fully winged and good fliers. 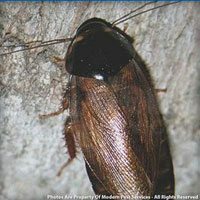 The Pennsylvania wood cockroach is chestnut brown with a white trim. 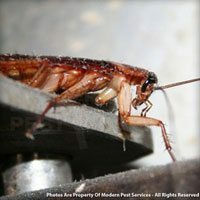 This cockroach gains entry to structures through cracks and gaps, as well as with firewood. 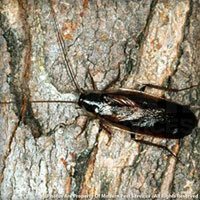 The male, who is attracted to light, may fly indoors at night. The female cannot fly, and does not tend to congregate around light. Their primary diet is decaying organic matter, but they also have a fondness for sweets. The female lays about 30 egg capsules in a woody area that is protected. Each capsule carries about 32 eggs. From egg to adult takes about 318 days.